Marketers invest in their brand identity and the communications that reflect it. But brand agencies don’t specialize in presentations and they often gloss over this powerful medium. 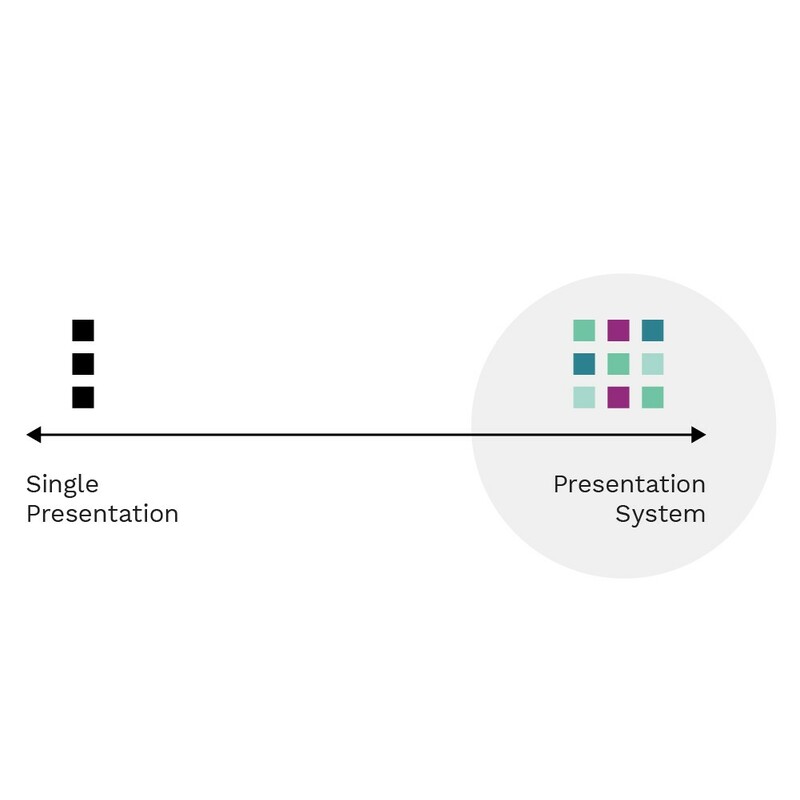 Our presentation template systems empower all your presenters to make a good impression. We deliver a robust visual library, simple rules to follow, and easily adaptable templates. The perfect combo of consistent design and ease of use lets you rest assured that your brand identity is safe. Your slides reflect your brand. But, often, your people show slides they’ve tweaked themselves with a brand logo in one corner and some “Frankensteined” content in the body. Say goodbye to Frankenslides! Our template systems let you create new content with pre-approved visual elements. These systems stand up to the worst conditions, like bad lighting, projection system variations, and even inexperienced users. No matter what, your slides will look magnificent and your team will work more efficiently. 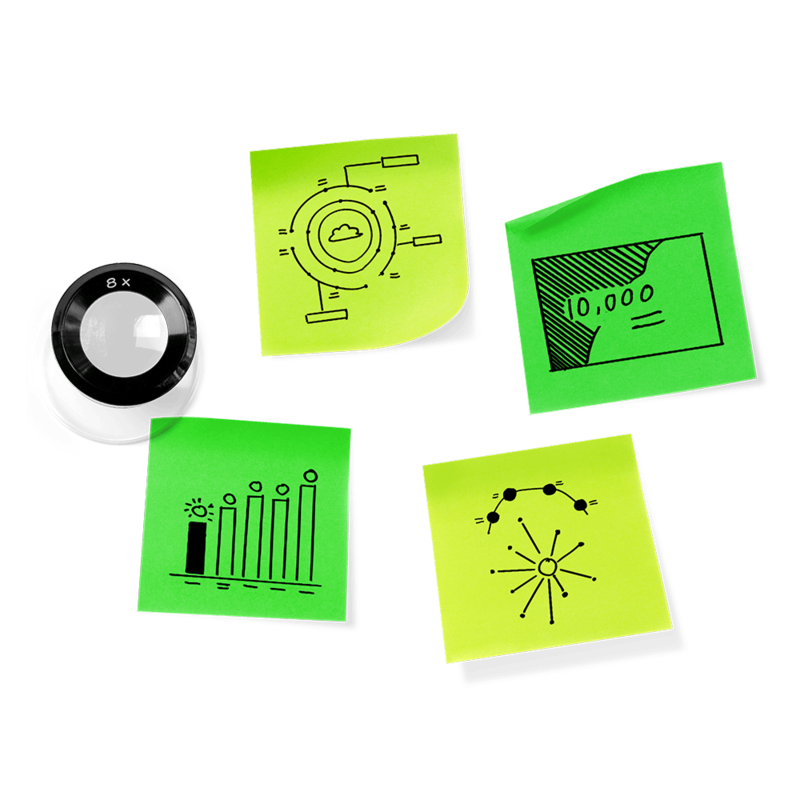 Presentations use a variety of visual elements to support content. Our designers will stock your library with beautiful, clever, and effective illustrations and images so everyone who creates presentations can easily access approved visual elements. 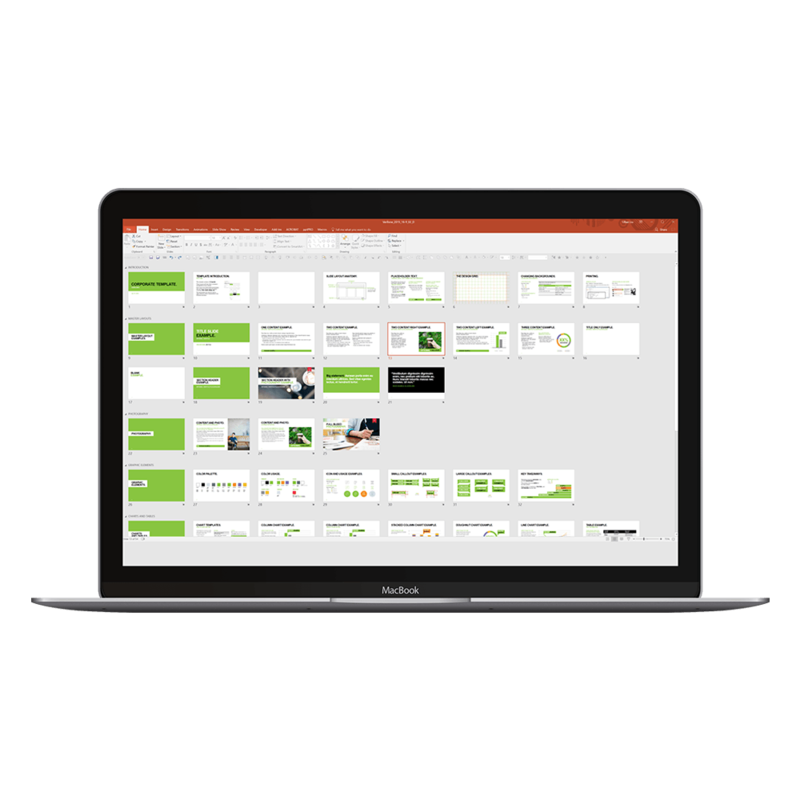 Get your people working productively and efficiently with ready-to-use assets for every presentation. 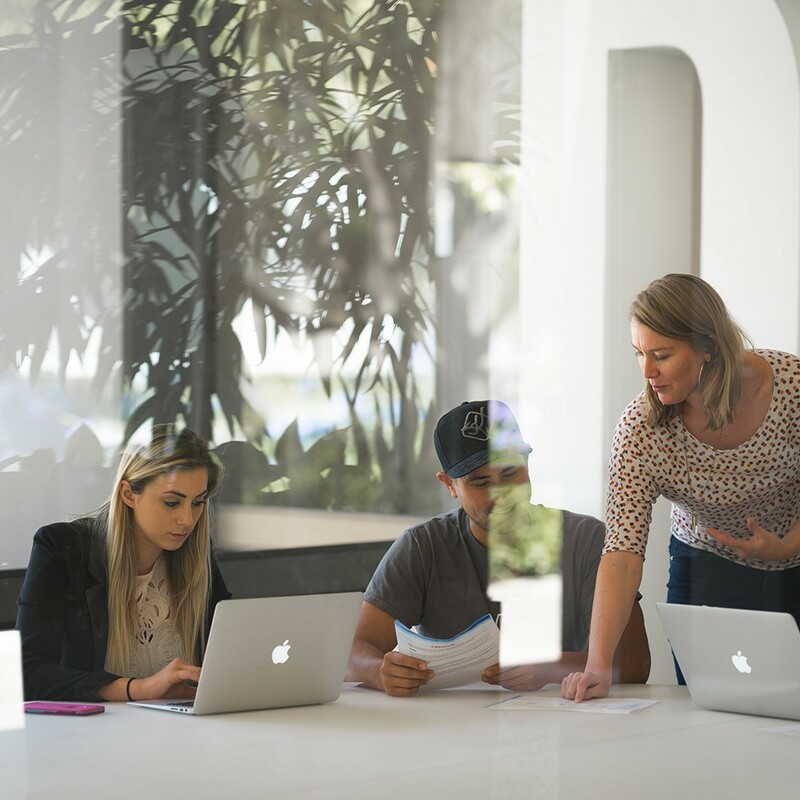 Guidelines define how your brand should be applied across the marketing mix. Ours help everyone who creates presentations stay consistent with the style you’ve chosen. We’ll explain the logic that makes it easy for your people to use visual elements, font sizes, colors, and charts the right way. When a user has a specific question about how to use the template to create a presentation, they’ll have the answer. 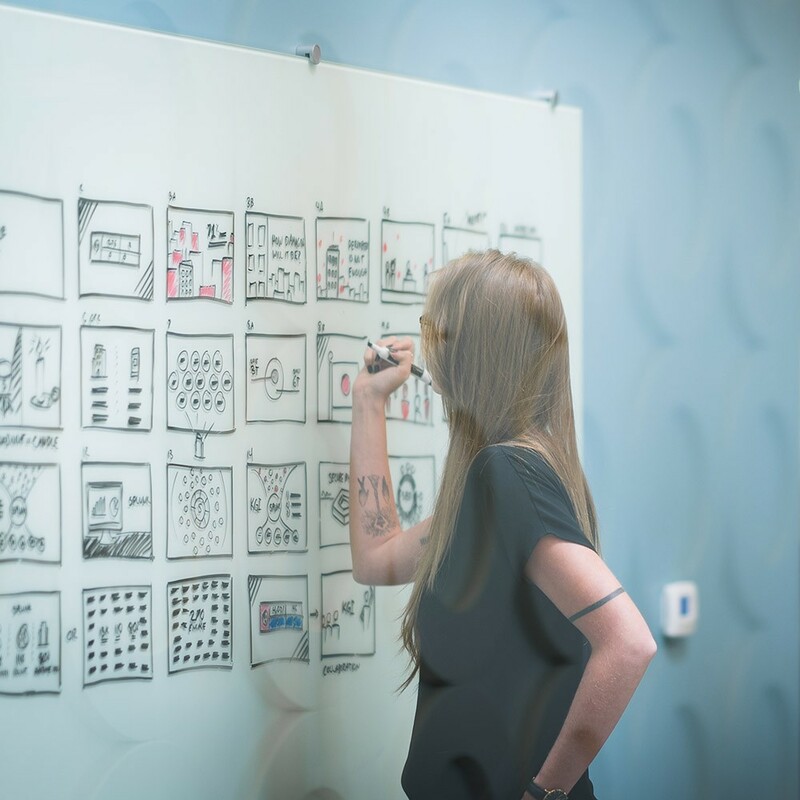 Getting a new template system that communicates your brand isn’t enough. Teaching your team to use it helps them get up to speed quickly. Our in-person training and videos are simple and comprehensive—and sometimes even fun. Get people to take advantage of the template and increase your ROI. Our presentation systems go beyond a simple template and provide all the tools your teams need to deliver high quality, brand-specific presentations at every touch point in your organization. How do you prepare teachers for the country’s most challenging learning environments? You equip them with interactive and engaging training materials that help them communicate persuasively to their students. Can You Pass The Glance Test? 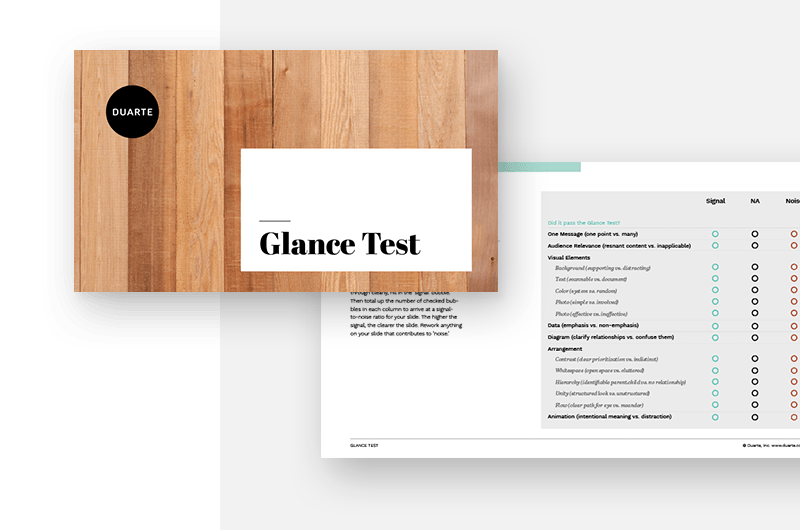 Our “glance test” will help you quickly determine whether an audience can quickly understand the point of your slide. Use this tool to quickly eliminate distractions and sharpen the message of each of your slides. Try it yourself!